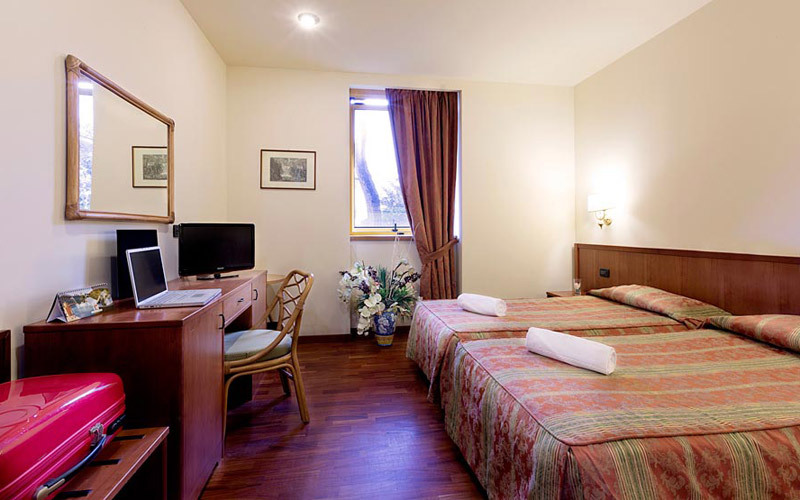 All the 46 rooms are well furnished, with a private bathroom with shower or tub, hairdryer, air conditioning, heating, fridge bar, satellite TV, direct telephone line, safe, free wi-fi. 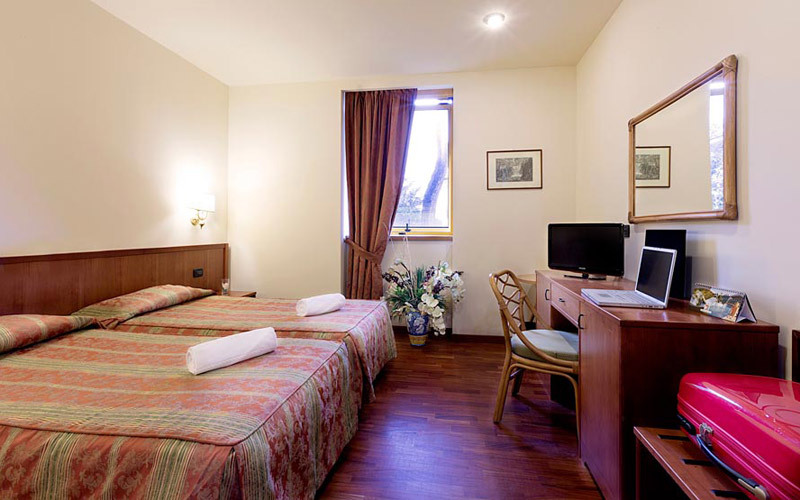 The Hotel Tivoli offers you the opportunity of using the swimming pool, open during summer, and a fully-equipped wellness center ( ask to reception for cost ), situated inside Grand Hotel Duca d'Este. 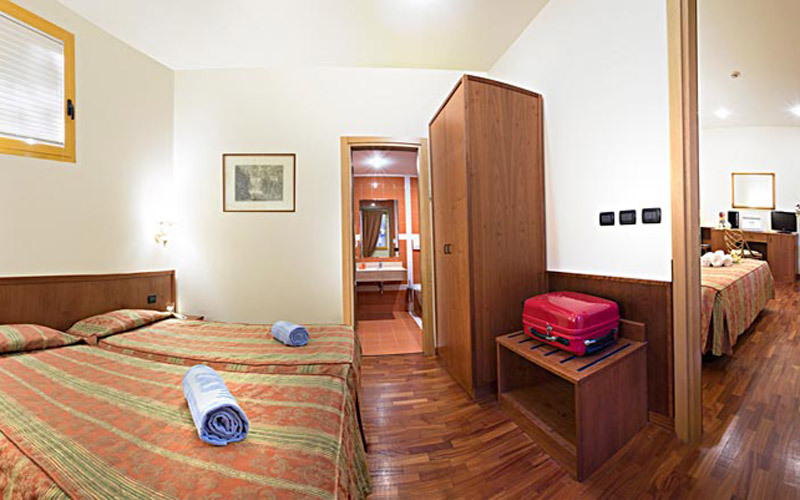 The double rooms with twin beds are the perfect choice for the guests that want to spend their holidays in complete privacy, but with maximum comfort. 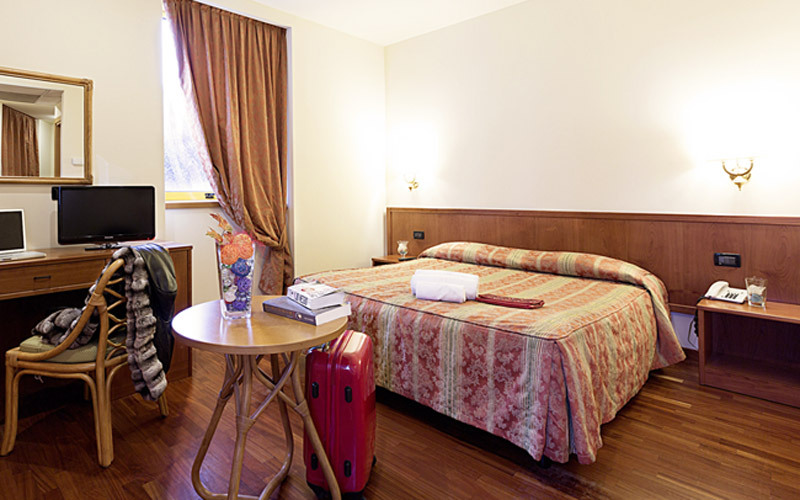 With king size bed for 2 adults, pleasant and comfortable, equipped with all the necessary services for making you enjoy your stay. 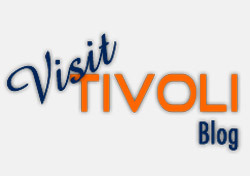 Tivoli Hotel has quadruple rooms, spacious and ideal for families and small groups of workers,projected to welcome adults and kids. The cancellations or the modifications made later and the abscence of presentation carry the debit with cost of the first night. The policy of cancellation varies in base of the type of room preselected, verified before prenotation. Any kind of supplementary bed or bunk-bed is available on request and after taking a confirmation from part of the hotel.